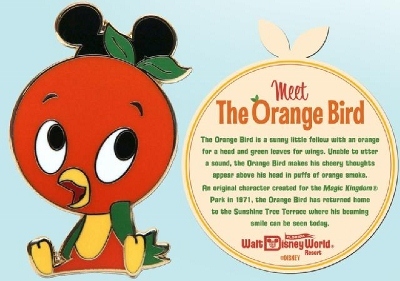 Back in the 1970s, guests of the Walt Disney World Resort were greeted not only by Mickey and the gang, but also a brightly colored feathered friend known as Orange Bird. 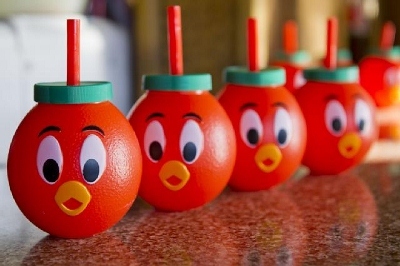 To the surprise of many, Disney recently announced the return of Orange Bird and his iconic treat, Citrus Swirl, to Sunshine Tree Terrace in Magic Kingdom’s Adventureland. For those unfamiliar with the character, Orange Bird was designed in the 1970s in conjunction with the Florida Citrus Growers’ sponsorship of the Walt Disney World version of The Enchanted Tiki Room, which was then called Tropical Serenade; the Growers were actually one of the first sponsors for Walt Disney World attractions when the Magic Kingdom first opened in 1971 and they frequently used the character in television and print ads shown throughout Florida. 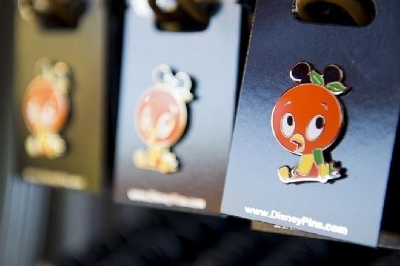 As a result, it was not uncommon for travelers to see Orange Bird appearing outside of Walt Disney World at citrus stands or tourist stops nearby. 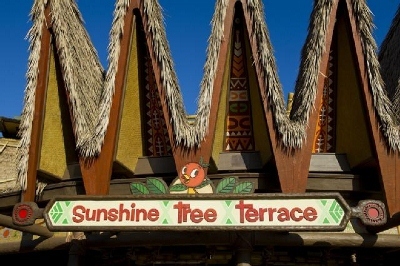 While at the Magic Kingdom, the bird greeted both children and adults alike at Sunshine Tree Terrace, a treat shop in Adventureland. There, guests enjoyed citrus drinks and a relaxing break from the hustle and bustle of a busy park. 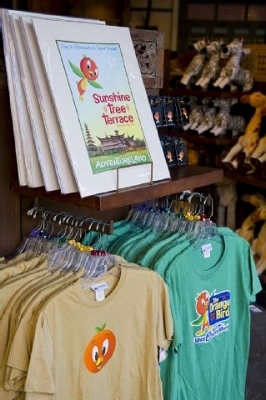 Similarly, Orange Bird gifts were also sold at the Terrace. What makes Orange Bird unique is his ability to bring a smile to faces without voicing a single chirp. 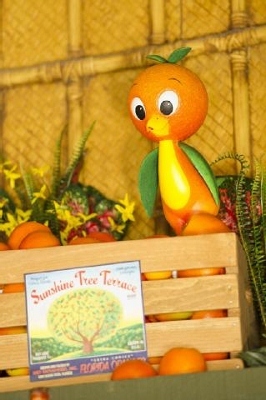 According to Disney Archivist Steven Vagnini, Orange Bird has a unique way of communicating. “He doesn’t talk. He’s actually a very silent bird and that’s one of his hallmarks,” Vagnini explained. He then added that although Orange Bird doesn’t sing or speak, he thinks “orange thoughts” in the form of orange puffs of smoke which appear above his head in drawings and stories of the character. The feathery friend also had a bit of wild side to him and frequently snuck up on guests or snagged a taste of their citrus treats. In order to help guests learn about Orange Bird, Disney commissioned the Sherman brothers, Richard and Robert, to create his story through music. Six songs were written with titles ranging from “The Orange Bird Song” to “Sing All Day.” The music was sold on a record album available at Sunshine Terrace along with other memorabilia such as charm bracelets, plush toys, banks, and more. 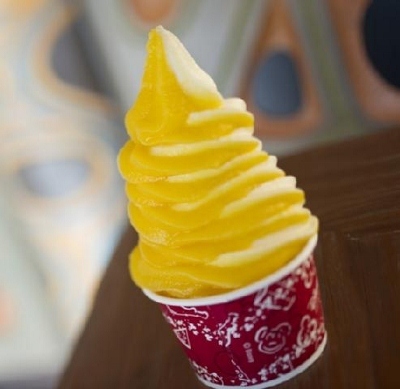 Park goers can now see the restored statue behind the counter when ordering treats such as Citrus Swirl, a combination of orange and vanilla soft-serve ice cream which is also being brought back from the early years of the Magic Kingdom. Disney enthusiasts looking to take a piece of the fun home will find a variety of merchandise now available. This includes t-shirts, pins, ear hats, Vinylmation figures, and even cups shaped like Orange Bird. Without a doubt, Orange Bird is here to stay. What do you think? Was it a good idea to bring him back to the Magic Kingdom? Post your thoughts here!